"Vintage Tomorrows" Steampunk Documentary and Book! The Obtainium Works crew have become steampunk role models! 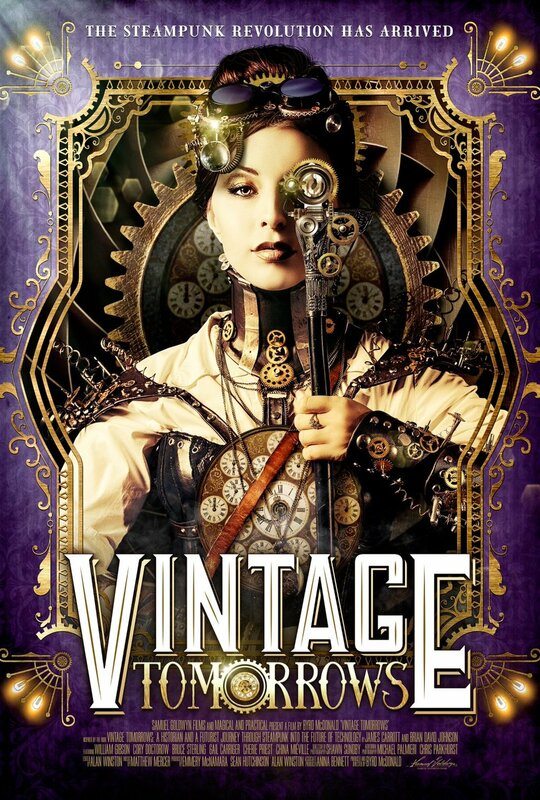 "Vintage Tomorrows" is an in-depth look at the world of Steampunk and what it means to society and technology. If you still haven't figured it out, the book and the documentary can help! 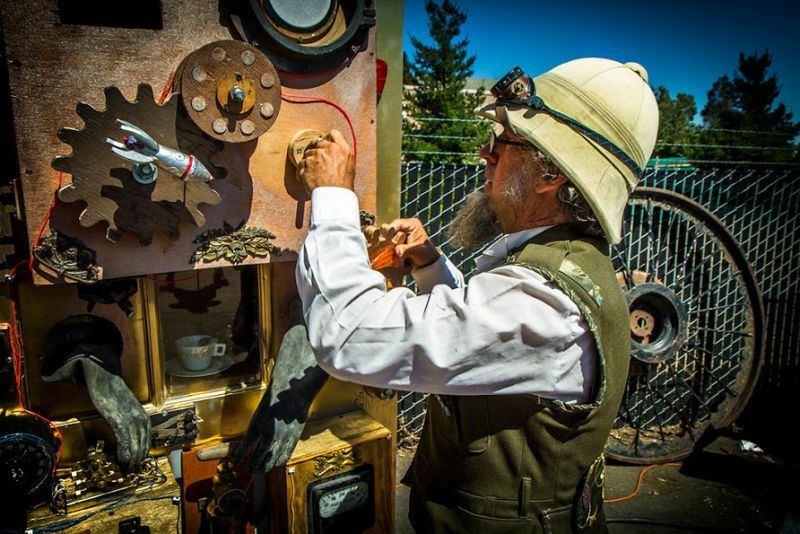 We met the author James Carrott and filmmaker Byrd McDonald at Maker Faire back in 2012. 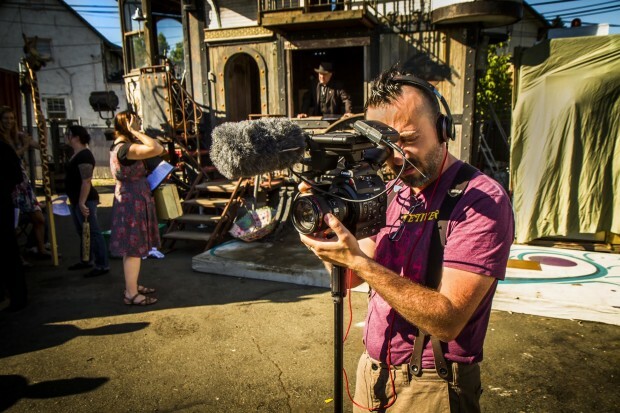 For the next year, they followed us around with cameras and notebooks documenting our wacky world, from Maker Faire, to Burning Man, to an epic Steampunk wedding onboard the Neverwas Haul! The book was published through Maker Media in 2013, and is available on Maker Media's website or through Amazon. The movie received global distribution rights through Samuel Goldwyn Films in 2016. Now you can see the documentary streaming on Netflix or iTunes, or buy the DVD from Amazon! The Hollywood Reporter, 'Vintage Tomorrows': Film Review. Make Magazine, “Vintage Tomorrows,” the Book, the Film, and the Golden Age of Steampunk. Variety, Steampunk Documentary ‘Vintage Tomorrows’ Acquired by Samuel Goldwyn. 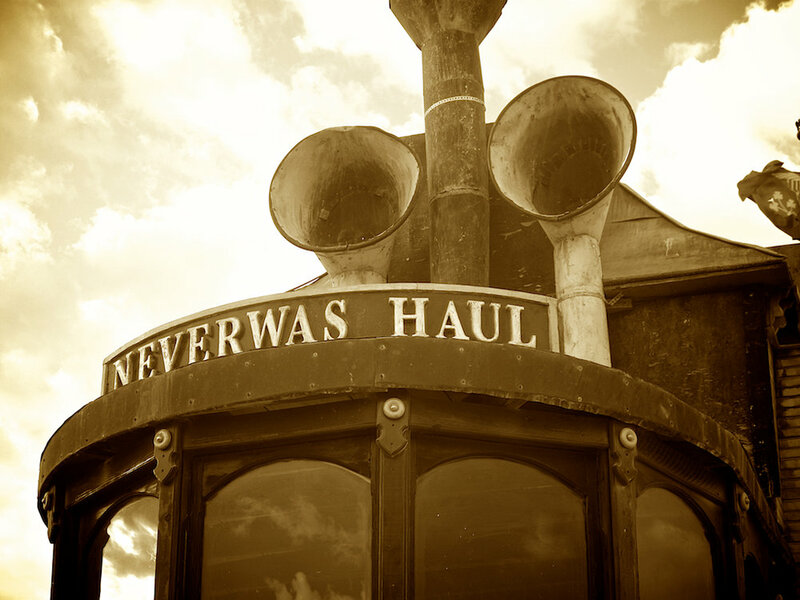 Ain't It Cool News, Horrorella Reviews Steampunk Doc VINTAGE TOMORROWS!. Comics Grinder, Comic-Con 2015 Movie Review: ‘Vintage Tomorrows’. TOR Publishing, “Can Steampunk Look Towards the Future?” Vintage Tomorrows Screening Report. Graphic Policy, MOVIE REVIEW: VINTAGE TOMORROWS. Intel Inside Scoop, Film Review: ‘Vintage Tomorrows’ and Steampunk, Technically Speaking.